The authors of our bestselling telescope guide Turn Left at Orion offer their expert perspectives on where to get the right telescope, what features to look for, and how to use it. I’m a beginner who enjoys looking at the stars. What’s the benefit of having a telescope? Guy: A small telescope should be your second step, not your first. Start out by getting to know the constellations. Once you are familiar with the patterns of the stars, how they move through the night and through the seasons, and in particular what you can expect to see from the particular place where you plan to do your stargazing, then you’ll have a better sense of what to use a telescope for. Dan: Learning the most conspicuous constellations and the brightest stars is enormously helpful, as well as lots of fun, but you don’t need to learn all the constellations. I still forget some of the more obscure ones in the northern sky, and on trips to the southern hemisphere I have encountered huge chunks of sky where I’m quite lost without a chart. Once you’ve learned a handful of the key guidepost stars and constellations for each season you can easily use them as springboards to everything else. 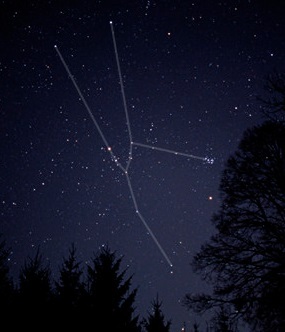 For example, in winter it’s hard to miss Orion. From there, you can follow the line of the belt to Sirius and Canis Major, turn upward to Taurus and the Gemini twins – or Turn Left towards Monoceros (the unicorn). Where should I start? Can you recommend any stores or online sellers where I can find an affordable telescope? Dan: It used to be that there were just a few good options – and most of them were prohibitively expensive. That’s just not true any more. The problem is choosing among all of the good options available! Guy: Like many things, the ideal is to have a local dealer whom you can go to and ask questions, try out items, and learn from them what works well in your particular part of the world. 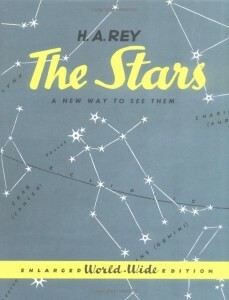 But many of us don’t have good dealers nearby, and so the next best thing is a good on-line telescope seller. Even there, however, you’ll probably want one who serves your particular location; a dealer in the US won’t be able to ship things to New Zealand in a timely manner. What should I pay attention to in my search? What are the most important features my telescope should have? Guy: If you’re a beginner then you don’t want to spend a lot of money on special features that you won’t know how to use. Simplicity is what I would strive for. 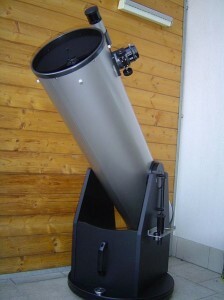 If you know you have a good place to set up the telescope out your back door, then get a modest Dobsonian; they don’t come any simpler than that, though they tend to be a bit big and bulky to move. If you plan to travel with the telescope, to take it camping or out into the countryside, then a small “spotter telescope” is a good place to start. In either case, look to spend no more than a few hundred dollars (or pounds). 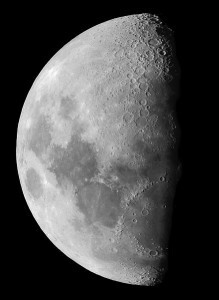 Absolutely do not get a computer-controlled telescope for your first ‘scope; if you want to go that route later on, fine, but they’re really hard for a beginner to set up; they don’t make any sense if you aren’t already familiar with what a telescope is supposed to do and how it’s supposed to behave. Dan: I agree completely. The so-called ‘go-to’ telescopes are fine, but if you start out with one you’ll never really learn the sky, and when (as happens on occasion) it misses the target, even by a little bit, you’ll be lost and frustrated. I love Dobsonians, but I think that for many people they’re better as a second telescope. Because it’s just a simple Newtonian reflector on a very simple base, a Dob is very big in terms of what you can see for the price. Unfortunately, it is also big in terms of, well, being big and awkward to carry and store. You’ll want your first telescope to be something you can decide to use on the spur of the moment. Most people will find that easier to do with one of the more compact telescope designs. Guy: Sometimes people forget that when you buy a telescope you need an appropriate mount (usually a tripod) to go with it. Remember that a telescope has two purposes – to gather lots of light so you can see things that are dim, and to magnify the image so you can see things that are small. That magnification increases the size of what you see, but it also increases the effect of shaking. An unsteady tripod can make even an excellent telescope useless. Ideally, look for a stable tripod that allows you to have smooth control of where the telescope is pointing. Dan: Yes, putting it on a wobbly tripod is one way to ruin the usefulness of a telescope. Another is to give it a bad (or badly aligned) finderscope. When looking for an object, always start out at a relatively low magnification, because that will give you the largest field of view and, thus, the best chance of finding what you’re looking for. Still even if your low-power eyepiece gives you a very respectable 1° field of view, that’s like looking thru a 1-inch diameter tube that’s almost 5 feel long – you’re looking at a really small patch of sky. If your finder isn’t perfectly aligned you stand essentially no chance of finding what you’re looking for. That’s why the first thing to do when stargazing is to get the finder aligned using the Moon, a very bright star, or even a tower on a hill a mile away. When buying a telescope, make sure that the finder is easily adjusted and located where you can get to it without doing gymnastics – at very least, make sure there’s room for your nose! You’d be surprised how many telescopes have awkwardly-placed finders. 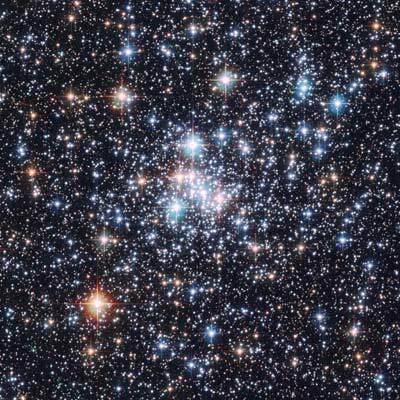 Once I’ve picked out my telescope, what’s the first object I should try to locate in the sky? Guy: Absolutely – start with the Moon, hands down. It is easy, and it is spectacular. Easy is important for your first object — you want to be sure that you have your finderscope lined up right, and your focus isn’t too far off. You won’t be able to see anything else if those two items aren’t right; but you can find the moon simply by moving to where you see the sky getting brighter and brighter. And once you have it, you’ll know when you are in focus. But then, when you’ve seen the Moon, what comes next? I usually look for an easy or colorful double star. That gives me a sense of how steady the sky is (and whether it’s worth trying to split closer doubles). And sometimes you can see star colors more easily when the background sky is still a little light. Dan: If there’s a bright planet that up that night, that’s a logical place to go next. Whether it’s a crescent Venus, the polar caps on Mars, the rings of Saturn, or the ever-moving moons around Jupiter, planets are always fascinating targets. And they’re easy to find, usually among the brightest objects in the sky. Guy: Before long, you will have found your own special favorites in the sky. So start with something you’ve seen before, to get yourself into the rhythm of the night. We suggest our favorites – they are the objects that get a rating of “four telescopes” (or higher!). There will always be at least one four-telescope object in the sky at any given time. We chose these because they are easy to find, easy to see, and always give you something fun to look at. Any tips for making sure I get the clearest view and the right magnification? Dan: There are a few rules of thumb. 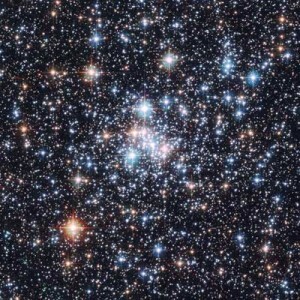 If the stars do lots of twinkling, then forget about seeing close double stars – there’s too much atmospheric turbulence. If it is not very dark, then don’t expect to see nebulae. But sometimes you can be surprised – the same object can look very different on different nights, with different conditions or at high or low power. Just because you saw it on one night doesn’t mean it won’t show you something very different on another night. Don’t be afraid to experiment! Guy: There’s a reason why telescopes come with more than one eyepiece. As Dan says, high power is great sometimes, on some nights, but absolutely awful on other nights. And it can change from hour to hour as the sky conditions change. So, for every thing you look at, try out a low power and a high power, and decide for yourself, for that night and those conditions, which one gives you the view you like better. You are the best expert on what looks best to you!